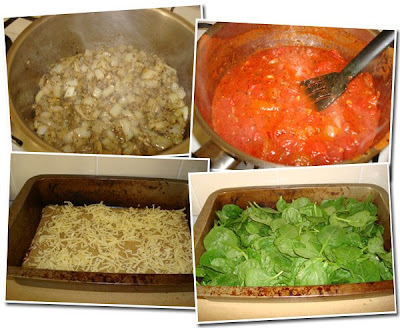 After having told you all this I must share this recipe for this fantastic vegetarian lasagna that i made last night. My in-laws came over for dinner for my son's birthday. We ordered pizza for our children as that is what our son wanted for his birthday dinner. Anyway, back to the lasagna. It's not my recipe, one of my friends came up with it. 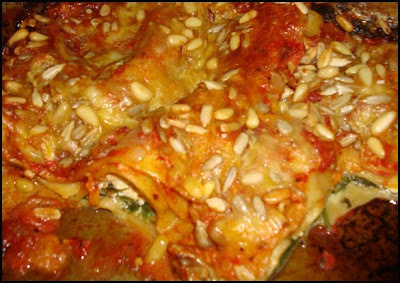 more grated cheese - more sheets and the rest of the tomato mixture - grated cheese (your arteries are probably clogging at the thought of all this cheese) - add pine nuts and sunflower seeds to the top - pour 100ml of stock and 100ml of the cream or full cream milk over the lasagna. Bake for 45 minutes in the oven on 200 degrees celcius. I hope you can follow this but if you can't please don't hesitate to ask as this is one thing that i can really recommend! hye... Nice blog! Keep it up, and please visit my blog... thanks! I don't like cooking either, but I LOVE vegetarian lasagne. I'll definitely give this one a go and let you know what I think. Oh Jen, you will love this one. 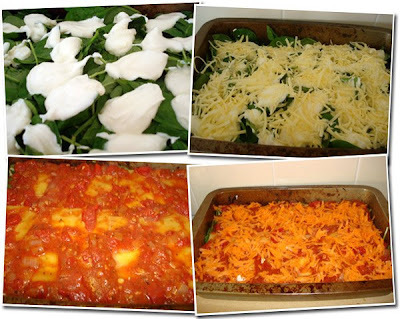 I have a recipe for another vegetarian lasagna as well but that one is a bit more elaborate. I could post it in the future but I'm not great with elaborate!